A federal employee union on Wednesday accused the management negotiating team at the Veterans Affairs Department of surreptitiously recording the union negotiators’ private conversations. 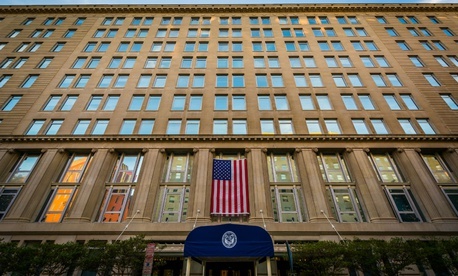 Last week, National Federation of Federal Employees officials met with VA's management representatives in Atlanta for discussions over which parts of an existing collective bargaining agreement would be reopened for revision. During the morning session, the union asked for five minutes alone to go over a VA counterproposal, which management granted, said NFFE associate general counsel Suzanne Summerlin. The parties had been going over Article 8 of NFFE’s contract with the department, which governs collective bargaining agreement negotiations, and contains a provision prohibiting the electronic recording of any aspect of negotiations. Summerlin said the incident completely derailed the day’s proceedings. A VA spokesperson said the department would not comment due to pending litigation. Summerlin said that when confronted with the phone, the department’s attorney apologized and said she was unaware that the meeting was being recorded. Later in the day, lead VA negotiator Robyn Stanton returned with a woman Summerlin declined to name but described as an “HR professional,” who asked for her phone back. Summerlin said that later, the person who recorded the bargaining session and the private caucus apologized and suggested she did not know electronic recordings were prohibited. Since last Thursday, NFFE has requested an investigation by the VA Office of the Inspector General, and it has filed three unfair labor practice charges with the Federal Labor Relations Authority. One is over the recording of negotiation sessions and private discussions subject to attorney client privilege, and two others claim the department has engaged in bad faith bargaining. Agency officials also have insisted that every meeting with NFFE for negotiations take place in Atlanta, despite the fact that the ground rules, agreed to by both parties, dictate that the location alternate between Atlanta and Washington. Summerlin said that at best, last week’s incident reflects a failure in VA management to treat labor-management relations with the proper seriousness. The next session of negotiations is slated for two weeks from now Summerlin said, and management is again insisting that it take place in Atlanta.